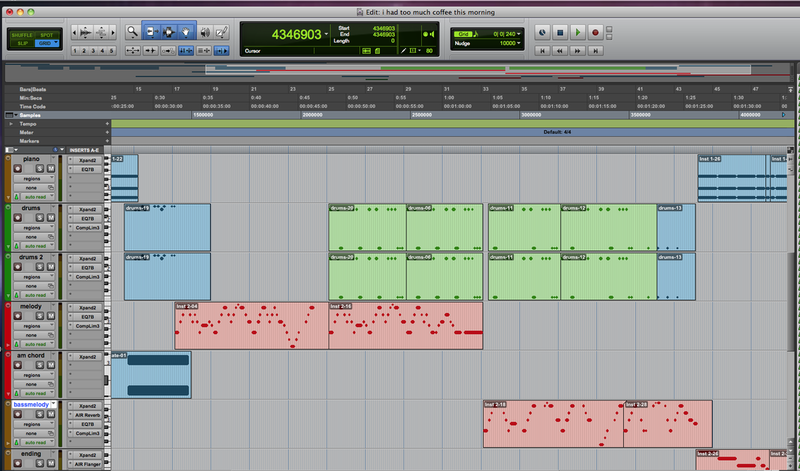 This is a screenshot of what this project looks like when I was working on it in ProTools. My second and most recent caffeine-induced song is my favourite that I've made. 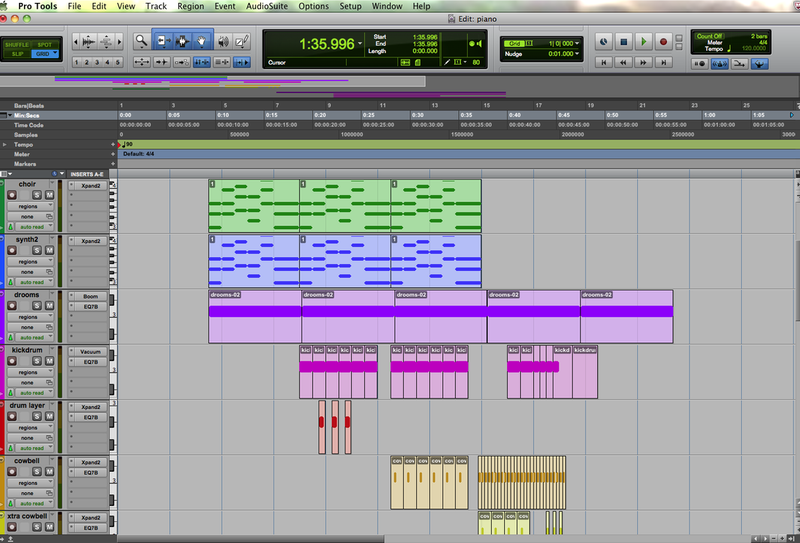 I used ProTools, and I like how I created all the drum beats instead of using Boom like I would usually do. This is a soundtrack to an old horror movie trailer. I collaborated on this song with Mace Grunsfeld. We started out with an intro build up of two notes on a deep bass-ey mellotron sound. We sped it up and then played a higher pitched chord when the movie title appeared. We then continued the song with sound effects from a Spongebob Squarepants episode with a scary character called the "hash-slinging slasher." Aqua Project- We were given this video to add music to. I started with the idea of using water droplets in my song and added on from there.